The 2018 Kia Soul is a 5 passenger Automatic or Manual transmission, Small Wagon. It is available in 3 trim packages, the !, +, and Base. The new Kia Soul invoice price ranges from $15,796 to $21,698, while MSRP ranges from $16,200 to $22,900. 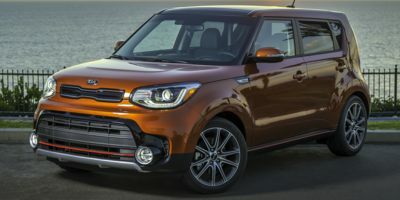 The 2018 Kia Soul is available in 12 exterior colors, Alien II, Bright Silver, Caribbean Blue, Clear White, Clear White/Red Roof, Inferno Red, Inferno Red w/Black Roof, Mysterious Blue, Mysterious Blue/White Roof, Shadow Black, Titanium Gray, and Wild Orange, and 2 interior colors, Black, and Gray 2-Tone.